The books you read play a big part in who you become, and your favorites can often be very revealing about who you are as a person. For instance, President Obama's favorite books, which he recently revealed an event at the Washington Library, certainly seem to say something about him. 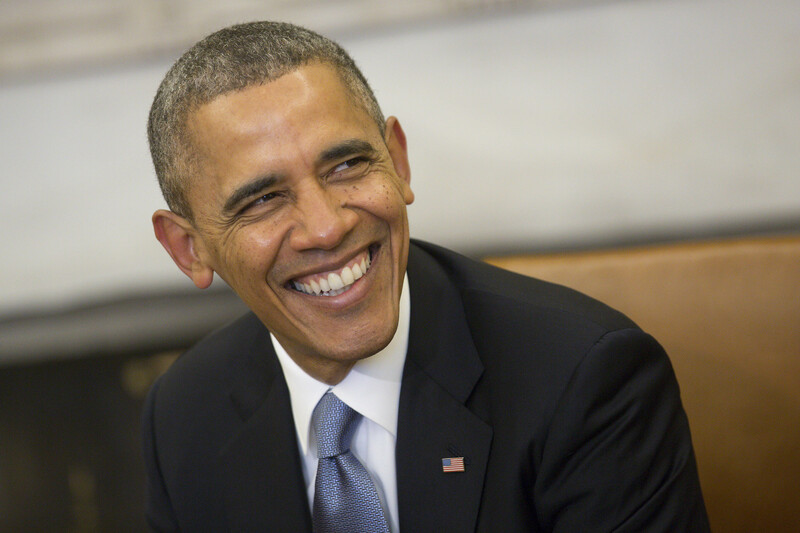 The Harry Potter books were among the titles President Obama listed as his favorites. Obama says he read the books to his daughter Malia when she was younger, which is definitely a good thing. Not only is Harry Potter awesome, but researchers have also found that the series makes people more empathetic toward disadvantaged groups. Before you take office, you should be requires to read these. But Harry Potter wasn't Obama's only book choice with a left-leaning bent to it. He also named several classics, including Great Gatsby and Of Mice and Men, both of which offer their own critiques of America — in Gatsby's case of the American obsession with wealth, and in Of Mice and Men of the American Dream itself. Obama also professed to still love Dr. Seuss books, which we know contain political commentary by an author who wasn't shy about his liberal agenda. The president also listed more neutral titles, including The Hardy Boys, Treasure Island, and the works of J.R.R. Tolkien. Given that Obama was addressing kids at this event, it makes sense that most of the titles he listed here were either children's books or the types of novels you might read in high school, though in the past he has listed plenty of more adult titles, including Song of Solomon by Toni Morrison, The Golden Notebook by Doris Lessing, Gilead by Marilynne Robinson, and Invisible Man by Ralph Ellison. Overall, his choices seem to represent an appreciation for complexity, and for works that create intricate and often subtle critiques of the world around us. All of which are the sorts of things you would hope for in a president. But for a moment, can we go back to Harry Potter test of politics? Can it be a real thing?